Everybody who knows me knows I’m a huge lore guy. If I’m hooked on a franchise, I’m gonna spend days of my life combing through every drop of lore I can dig up. If the publisher hasn’t provided any, I’ll spend hours digging through wikis and fan theories until I’m satisfied. Luckily, I don’t have to worry about the latter – because Blizzard is bombarding us with an insane amount of new lore for the upcoming World of Warcraft: Legion expansion, and I don’t think they’ve received nearly enough props for the work they’ve put in. Now, don’t get it twisted – this is nothing new for Blizz. 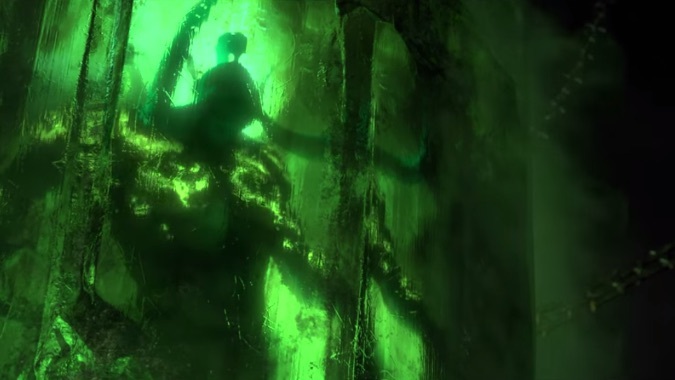 They’ve consistently given us hours of new lore each and every time a World of Warcraft expansion drops, including but not limited to: comics, novels, animated shorts, behind the scenes previews, and other awesome stuff. What they’ve done new for Legion this time though, is they’ve released an incredible four-part “Audio Drama” that plays out like a fantasy-themed radio show. Or audiobook… Or whatever you prefer. The audio drama, entitled “The Tomb of Sargeras” chronicles a pre-Legion interaction between the expansion pack’s main NPC protagonist and antagonist: Khadgar and Gul’dan (respectively). The tale is written by Robert Brooks, a Story Developer at Blizzard, and is narrated by the phenomenal Steven Pacey, who has also narrated the audiobooks for one of my other favorite fantasy franchises – The First Law. Brooks has also authored three separate comics surrounding the pre-Legion events, which are also just fanfuckingtastic. Below is the first of the four chapters to The Tomb of Sargeras, but you can also read the text-version here if that’s more your style. For real though, I’d highly suggest you not miss the amazing narration here. So all in all – I’m floored by the sheer volume of lore that Blizzard has dropped along with Legion. I know that if I hadn’t resubscribed already, this amount of lore would’ve drawn me back in. And if you’re not convinced yet that Legion is gonna be awesome, there’s something seriously wrong with you. What’re your favorite RPG worlds? Hit us up on Twitter at @WickedGoodGames and let us know. A First Time DnD Players Reaction..